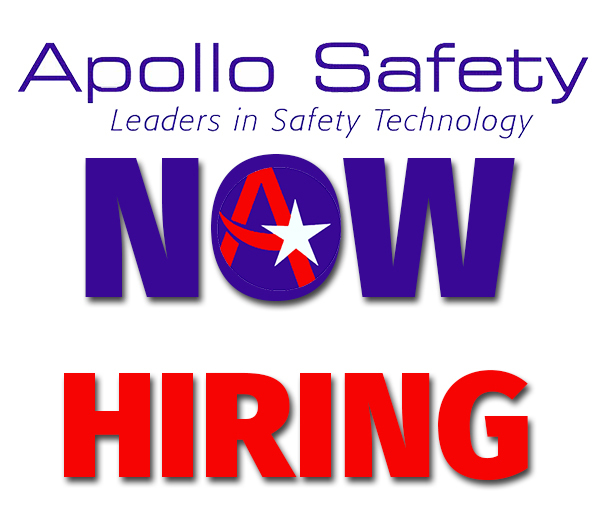 Apollo Safety, Inc. is committed to offering our employees long-term career opportunities and a positive work environment. We offer competitive salaries and benefits package. Apollo Safety is an equal opportunity employer. Below is a list of our open positions.If interested in a position, please forward your resume and list of professional and personal references to John@apollosafety.com. Apollo Safety is the region’s leader in gas detection instrumentation and service. This position will function under general supervision, performing/providing calibration, repair, installation, troubleshooting and documentation of instruments, process control systems and equipment. Interpret electrical schematics, I/O wiring and panel drawings. Have the ability to effectively communicate ideas through verbal and written form. General computer skills required. Have the ability to interact constructively with peers / teams. Have the ability to collaborate and coordinate with outside resources. Support on-call response by maintaining a cell phone while on-call. This position offers a competitive salary with benefits, commensurate with experience. Apollo Safety is an equal opportunity employer. Candidate typically has 4+ years combination of education, training and experience with a minimum of 2 years in instrumentation / measurement and control or direct gas detection experience. Two-year associate or equivalent degree in electronics or electrical engineering desired but not required. Licensed electrician with instrumentation experience a plus. One year related instrumentation, control and calibration experience in cGMP or other regulated environment preferred. ● Able to perform multiple tasks simultaneously.